The Mini Cooper is a vehicular marvel that combines outstanding performance and comfort into a compact and eco-friendly package. Because Minis are import cars, they are still somewhat unfamiliar to some automotive technicians. Here’s the good news: if you do your homework, you can save money and time by choosing a local independent Mini service facility over a dealership. Condition-based service (CBS) and factory-scheduled maintenance (FSM) are key to keeping your Mini Cooper running optimally. Protect your investment, retain your Cooper’s value, keep your vehicle running safely and maintain maximum resale value by sticking to these service schedules. The question is, where should you go for these services? 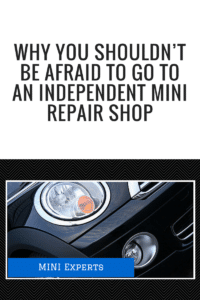 If you drive a Mini Cooper, you may have experienced the disappointment of taking your Mini to a neighborhood auto repair shop to have it serviced, only to have a technician admit he’s never worked on a Mini before. It’s understandable that you may assume the relative novelty of your vehicle means you must take it to a dealership for proper service and maintenance. It’s true that not all repair shops are equipped to service Minis. But shops like Master Automotive most certainly are. Not only do our experienced mini cooper technicians have access to the same equipment and diagnostics that dealerships do, they out perform the dealership at preventative service and maintenance to make your MINI last. 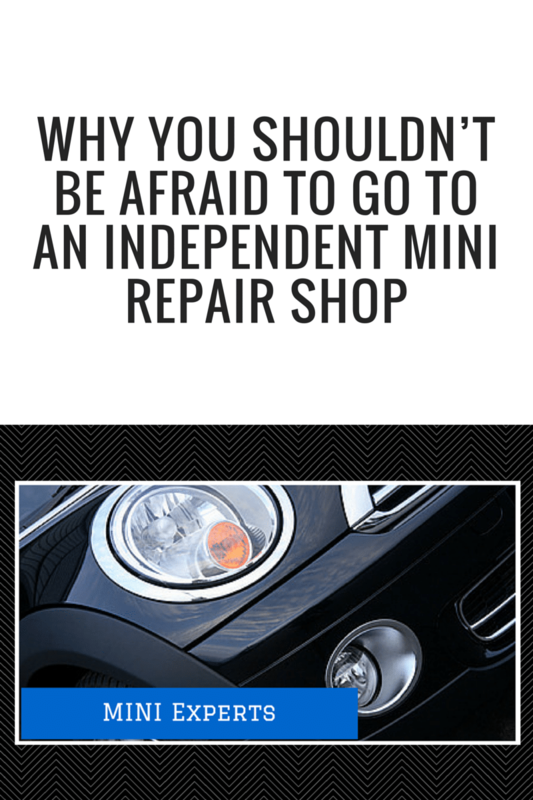 Independent Repair Shop technicians can take their time and get to know our customers and their Mini’s without worrying about meeting sales quotas. Many owners of fine import vehicles like Mini Coopers assume they must head to the dealership for routine maintenance and repairs. They think (and perhaps they have been misled to believe) that if they have their Mini serviced outside of the dealership their vehicle’s warranty will be voided. That is totally false. Consumers have complete discretion of where to have their vehicles serviced. Even if your Mini is under warranty, having it serviced by a local independent mini cooper service facility will not void the warranty. Another huge benefit of trusting your Mini repair to an independent shop over a dealership is price. Independent shops value substance over style and have lower overhead costs. That means you pay less at an independent shop because your money isn’t going towards frivolous extras that dealerships are required to have. If you are a Mini Cooper owner looking for a convenient, top-quality Bay Area MINI dealership alternative, contact us. Master Automotive has been the Bay Area’s full-service independent German vehicle service center for more than 20 years. Experienced, personable, and attentive, our goal is to prove to you that a high-end independent shop beats the dealership hands down.